I will admit that I often suffer from photographer’s regret after I return home from traveling. While I come home with plenty of pictures I enjoy and am proud of, I also start realizing and envisioning all the pictures I didn’t take or should have taken or wish I’d taken. But there is a solution to lessen regret: think ahead and make a shot list. I wanted to be sure I took a shot highlighting all the variety of shapes and colors in Jordanian currency. 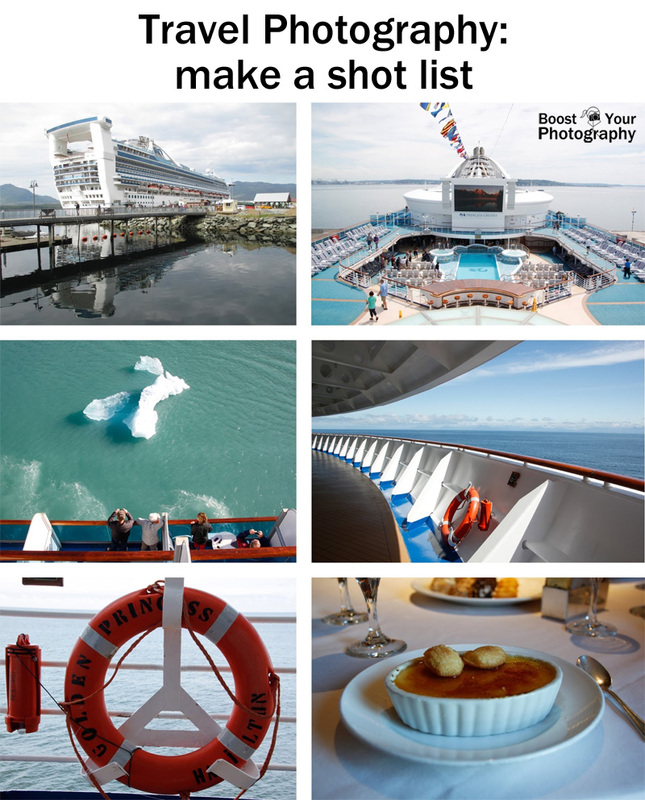 A shot list is exactly what it sounds like: a list of shots that you intend to take. Shot lists have long been common among wedding photographers who often distribute such a checklist beforehand to get feedback from the bride, groom, and their families to make sure that all ‘must have’ shots are taken during the big day. But why limit your ‘must haves’ to just wedding photography? The more you know about your photographic interests and priorities, the better equipped you’ll be to come home with the shots you want. You can Google ‘travel photography shot list’ and find plenty of checklists already out there, but for the best results, you want to create a list tailored to you. Or, there’s even an app for that, but it’s still only for iPhone users. Even professional photographers admit to doing extensive research before they begin their photographic travels. Perfect shots of the full moon rising over an important landmark don’t happen by accident; they take planning. Download the Photographer’s Ephemeris and use it to plot sunrise, sunset, moon rise, and moon set times and angles. Learn to Shoot the Moon with the Photographer’s Ephemeris. 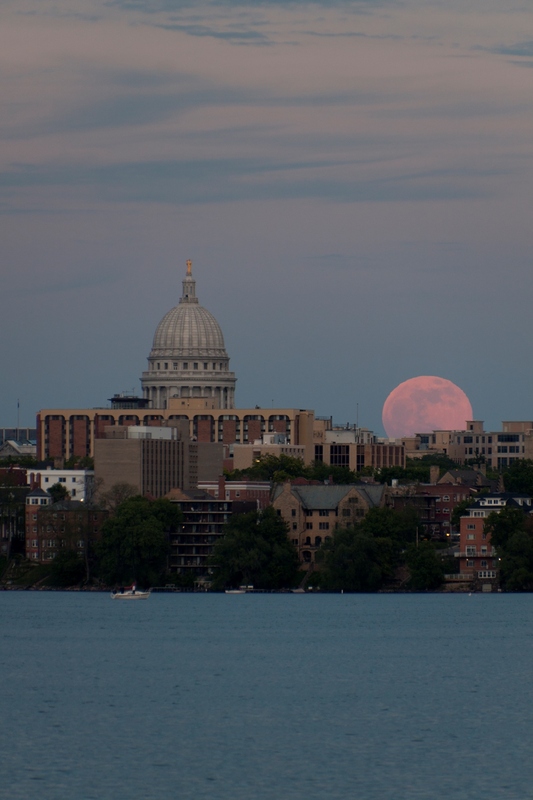 Using the Photographer's Ephemeris got me in the right place at the right time to get the moon rising right next to the Wisconsin State Capitol. Look at travel guides for your destination or search for images online or on Flickr to see how other people have interpreted similar sights and scenes. I am not saying that you should copy what others have done, but seeing what is possible in a location might help spur your own ideas. 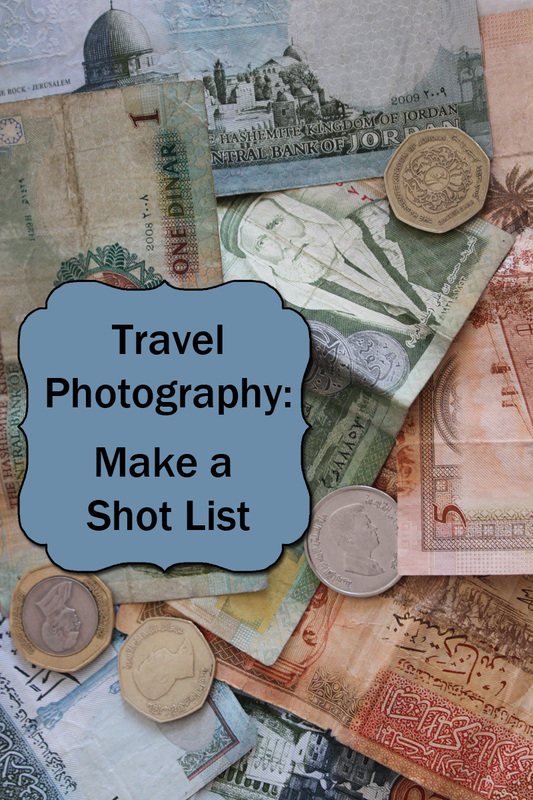 Look for books or articles about photographing your destination. Whenever I visit a new National Park, I always check to see if there is a listing for it in the National Audubon Society’s Guide to Photographing America's National Parks. Each brief chapter provides an overview of the park and its seasons along with a map of several top photography locations. Want to capture a perfect reflection of the Tetons in a still lake? It has the locations and best times of day. Need the classic image of sunset at Crater Lake? It will tell you which trails to take. Books like these can help you capture the ‘classic’ shots from your location, if that is something that is important to you. Most shot lists are organized into categories. Photojournalists often talk about including a range of views from establishing shots (wide landscapes that establish a sense of place) to people shots to the close-up detail shots. You can think about them as zooming in from wide to narrow, as well as including the in-between. The My Shot List app contains more than fifty different categories of shots to consider taking, organized by whether you are photographing in a city, town or village, National Park, or on a safari. A predetermined shot list from someone else is only useful if it actually fits you, your interests, and your priorities, but it can be a good place to start. So, after you’ve done the research or read the lists of others, you need to set out for yourself a list of interests and priorities. Establishing shot of the accommodations – room, etc. The final step, of course, is to actually put your shot list into action. It could be a list written down on paper that you carry with you or a digital checklist that you keep with you on a note-taking app or in an email. Think about and refer to your list while you are traveling. Add things, subtract things, and cross things off the list as you go. You will find that having such a list and having gone through the process of creating it will help you stay focused and motivated in your photography. It will also help you bring home those shots that you might otherwise have overlooked. I almost didn’t get a shot of our room while on the cruise. After finally making it through the initial boarding process, we made it to our room, dumped our stuff, and immediately set out to explore the boat (and find lunch), which meant that I lost the opportunity to capture a pristine view of our room. The morning before we left though, mindful of my shot list, I gave myself a few minutes to tidy up, hide our packed luggage under the bed, out of view, and capture the untouched view of our room that I had wanted. So, before you go on your next trip or even next photo walk, take a little bit of time to think about and reflect on what it is you are hoping to capture. Having a shot list, even if just in your mind, will help you come back with more of the shots you want.